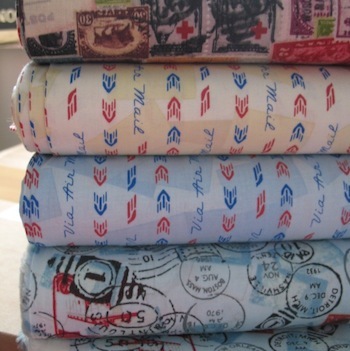 This collection by Karen Roti for Clothworks is reminiscent of 1930's ruber postage stamps and franks. 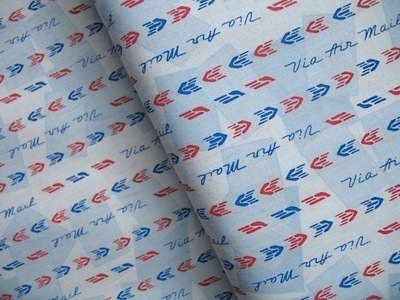 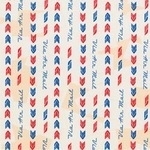 This airmail logo is still used today, a simple print in red and blue and it runs parallel to the selvedge edge. Scale wise the symbol is 1cm in length.